Gregory Fergusson is a detail oriented person who is very keen to learn as much as he can about entrepreneurship, business and finance. Combining a mix of perceptiveness, he is a conscientious worker who is excited to see entrepreneurs succeed and grow. Gregory works with potential entrepreneurs to ensure they achieve the most of their potential. 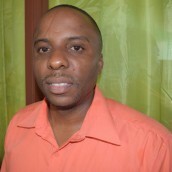 He works in the accounts department at Barbados Youth Business Trust and has a background in Banking & Finance. In his quest to continue to grow and develop, he recently read and trying to put into practice, “7 Signs of Highly Effective Persons” by Steven Covey. It is one of the world’s leading books on self-improvement.